HMD Global today launched the Nokia 2 at an event held in India. The Nokia 2 is an entry-level offering priced at Rs. 7,500, with the main highlight of the phone being its 2-day battery life. It is also the most affordable smartphone from the house of HMD. 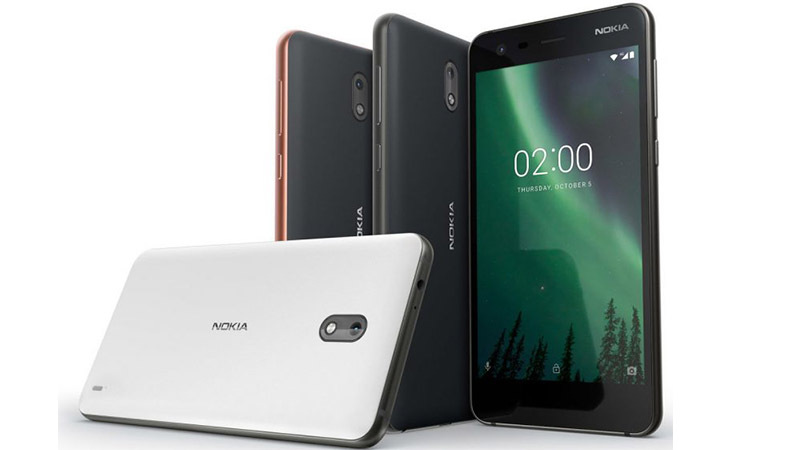 Among other specifications, the Nokia 2 a 5-inch HD display, 8MP and 5MP cameras, Snapdragon 212 processor, and stock Android. With these specifications, the Nokia 2 will be competing with the Xiaomi Redmi 4A. Starting with the build quality, the Nokia 2 features a polycarbonate back with a Series 6000 aluminum frame, so you can expect the phone to be very sturdy. It sports a 5-inch HD (720 x 1280p) LTPS-LCD display with Corning Gorilla Glass 3 on top. In terms of optics, the Nokia 2 sports a 8MP rear camera, and a 5MP front-facing camera. In the hardware department, the phone is powered by a Snapdragon 212 quad-core processor and Adreno 304 GPU, making it the first phone to feature Qualcomm’s new entry-level mobile platform. This is coupled with 1GB of RAM with 8GB of onboard storage, with an option to expand it up to 64GB using a microSD card. On the software front, the Nokia 2 is running Android 7.1.1 Nougat out-of-the-box. Also, it is expected that HMD will soon release the Android 8.0 Oreo update – HMD has had a good track record about security updates so far so we can expect it to keep updated as well. Packing a huge 4,100 mAh battery, HMD claims that the Nokia 2 comes with 2-day battery life. Connectivity options include dual-SIM, 4G VoLTE, WiFi, Bluetooth, GPS, and a 3.5mm earphone jack. The Nokia 2 is priced at Rs. 7,500 (99 Euros) Globally and will go on sale starting mid-November. The phone will come in Pewter Black, Pewter White and Copper Black colors.